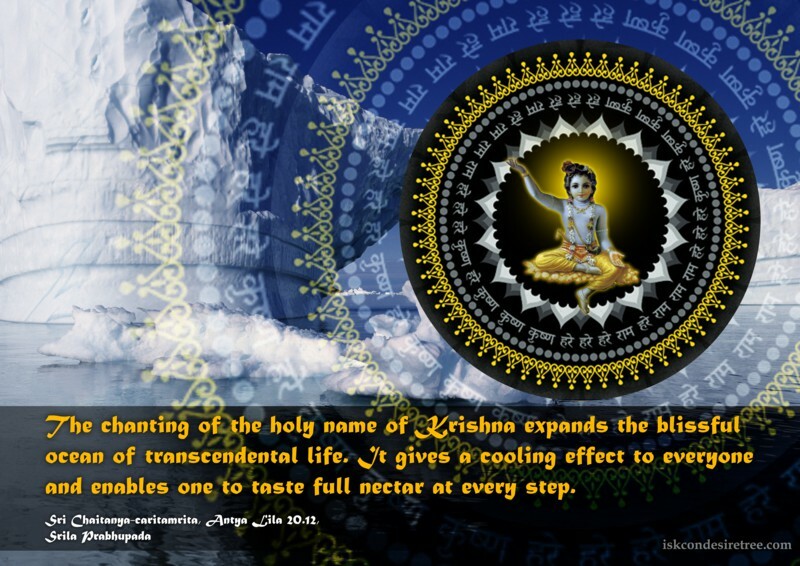 The chanting of the holy name of Krishna expands the blissful ocean of transcendental life. It gives a cooling effect to everyone and enables one to taste full nectar at every step. 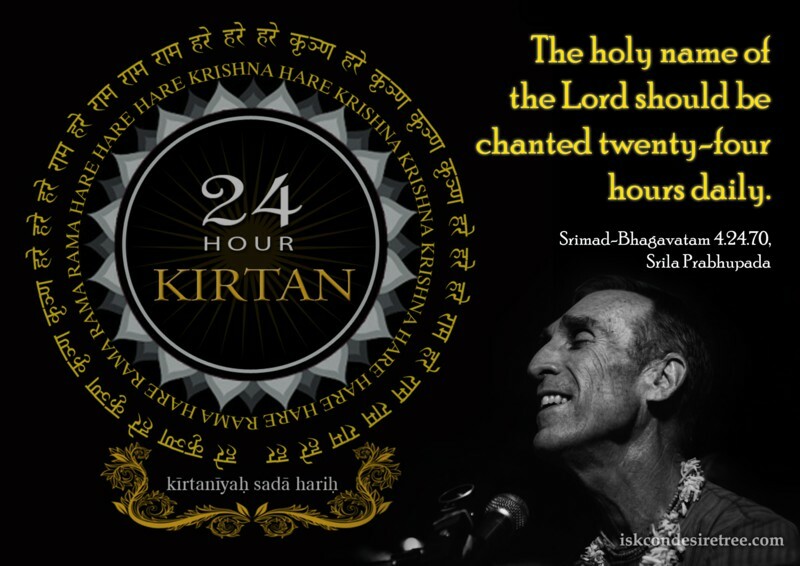 The holy name of the Lord should be chanted twenty-four hours daily. 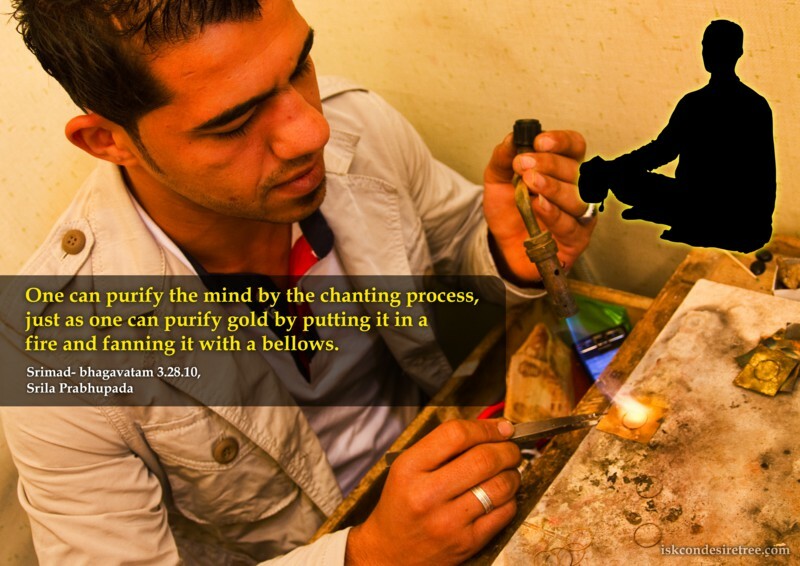 One can purify the mind by the chanting process, just as one can purify gold by putting it in a fire and fanning it with a bellows. 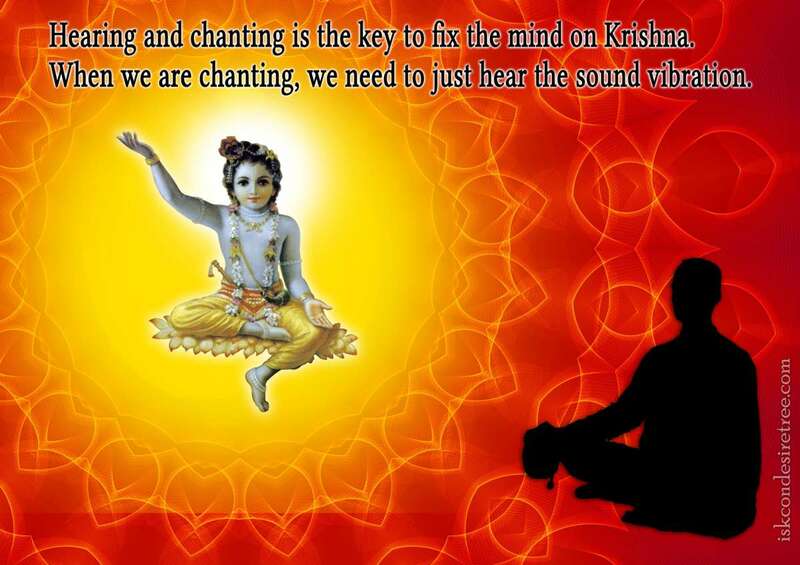 Hearing and chanting is the key to fix the mind on Krishna. When we are chanting, we need to just hear the sound vibration. 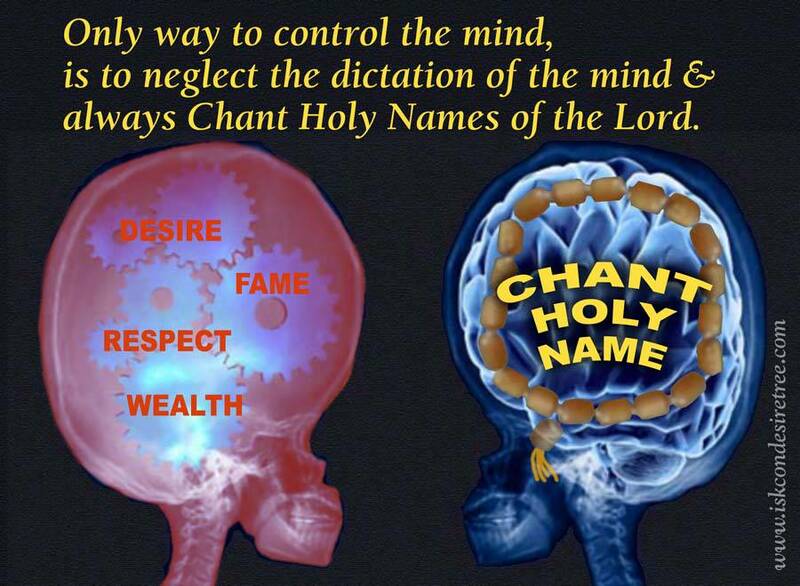 Only way to control the mind, is to neglect the dictation of the mind & always Chant Holy Names of the Lord.